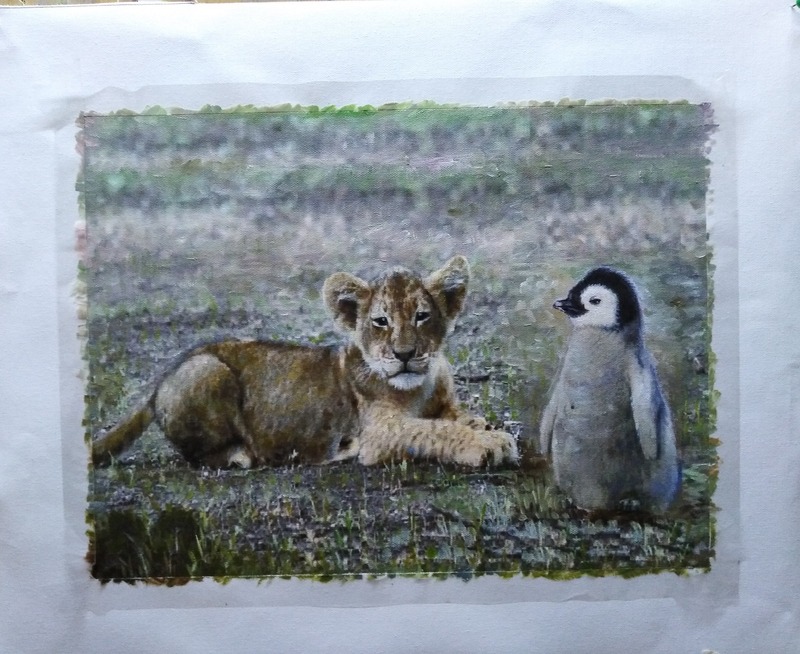 I would like the penguin and the lion to be interacting in some way. Maybe snuggling or looking at each other. You can choose the background.